Our services are listed below, we will be glad to tailor our visits to fit your and your pet’s need. Our goal is to provide the best care and service for you and you furry loved ones, by keeping your pets happy in their own home environment. The initial consultation is a chance for all of us to meet – you, your pets, and me. During this time, we will discuss the services I offer and such things as your pets daily routine, medications, feeding, exercise, etc. I will also go over some paperwork, complete the necessary forms, pick up your key, and more. Cat and dog visit includes feeding, watering, playing, companionship, clean cat box, change litter, water plants, mail and newspaper retrieval. Dog visit includes one walking per visit. puppy mess, and tons of love! Includes 1 morning walk and 1 evening walk, playing with your pets, feeding, walking, watering, companionship, daily cat box clean out, change litter, water plants, mail and newspaper retrieval. 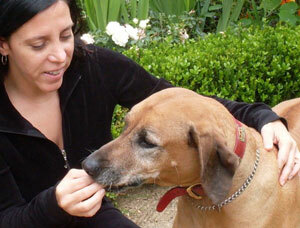 *We recommend from 2 to 4 visits per day for dogs, 1 or 2 visits per day for cats. For dogs who take medicine easily there will be no extra fee. Pet Transportation – $25 up to 12 miles. Each way. Key – The first meeting to get acquainted with pet and pet owner is free of charge, the first key pick up is free. ****Please note, we advise that you keep your keys on file with us; in case you choose not to, there is a pick up and drop off, meet up fee of $7 each way. At Sweet Paws Pet Sitting we accept cash, local checks, and major credit cards. PLEASE CALL US FOR OUR SPECIAL OFFERS! No spam - only posts! dog walking, cat sitting and dog sitting for the following zip codes: 90049, 90210, 90066, 90272, 90401,90077.